While pasta is cooking, heat skillet over medium-high heat. Add olive oil to the pan. Sauté shrimp in olive oil until pink. Add basil and grape tomatoes and sauté for an additional two minutes until slightly wilted. Turn off heat. 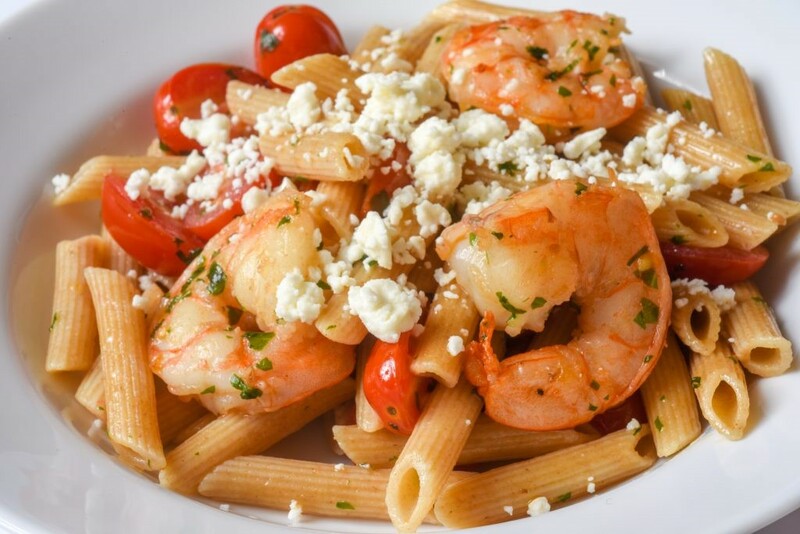 Serve shrimp, basil, tomatoes, and feta over whole wheat pasta. Dietary Fiber: 10.5g; Protein: 30g.